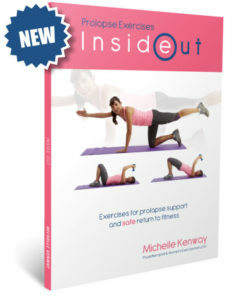 By popular request the Prolapse Exercises book and Inside Out workout DVD are now available as one complete and cost effective saver pack. 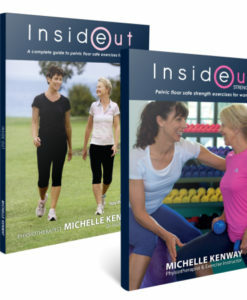 Prolapse Exercises Book is the popular exercise guide for women with prolapse and after prolapse surgery by acclaimed Australian Pelvic Floor Physiotherapist Michelle Kenway. 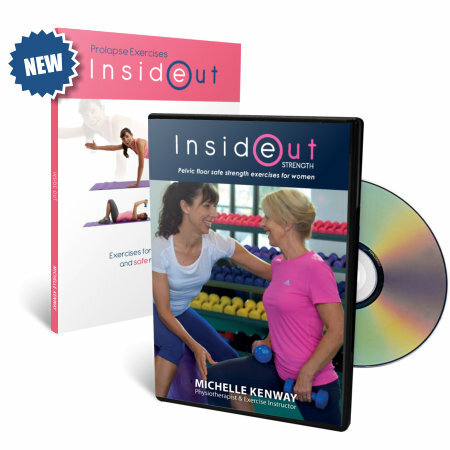 Inside Out DVD is the pelvic floor safe strength exercise DVD for women with prolapse and after prolapse surgery recovery who are seeking a safe and effective professionally guided exercise routine. The Prolapse Exercises Saver Pack is suited to women seeking expert guidance to help them exercise safely with prolapse -related concerns. • Improved pelvic floor prolapse support. 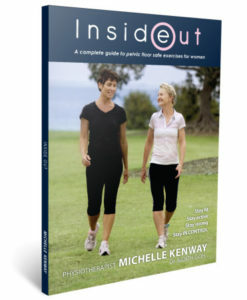 Michelle Kenway is a Pelvic Floor Physiotherapist, exercise instructor for women, presenter and author of the internationally acclaimed Inside Out – the essential women’s guide to pelvic support. 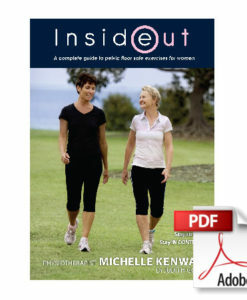 Michelle is recognised worldwide for her expertise in designing and promoting pelvic floor safe exercise programs for women.